Arthur Rackham: Exhibition poster Victoria & Albert Museum. 5th March – 27th April 1980. 76 x 51cms. Old tape marks on back, a few marginal tears. Category: Journal & Exhibition Posters. 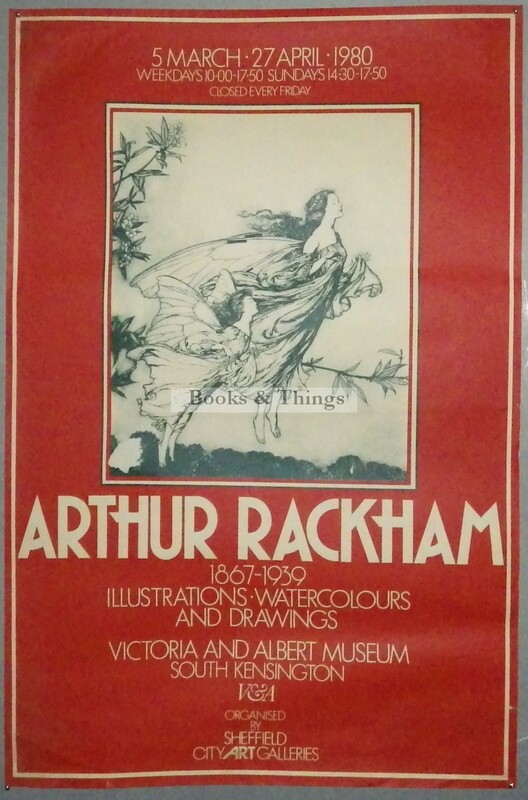 Tag: ARTHUR RACKHAM EXHIBITION POSTER.